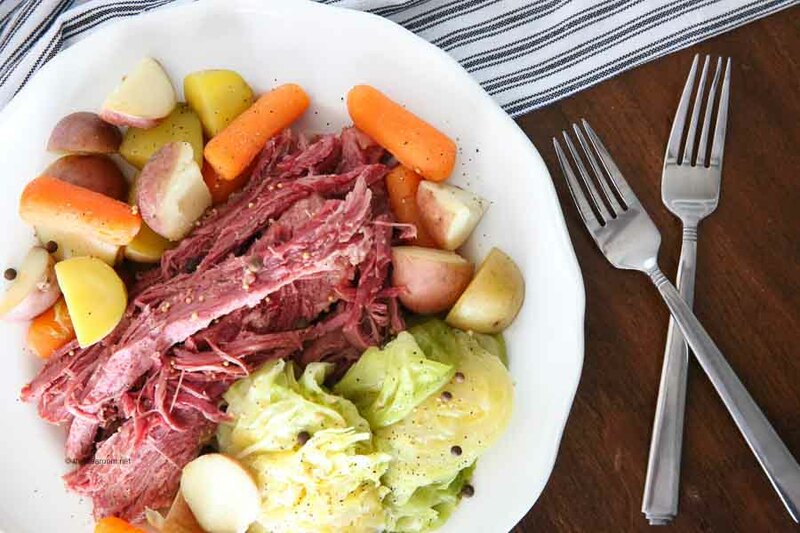 This tender, flavor-packed Corned Beef and Cabbage Recipe is made in the Instant Pot. It’s perfect for St. Patrick’s Day Dinner and can be on the table in just 1 hour and 30 minutes. 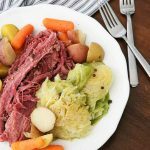 Do you enjoy celebrating St. Patrick’s Day by eating a delicious dinner of Corned Beef and Cabbage? We just started making this every year as a family even though I grew up eating it a few times a year. 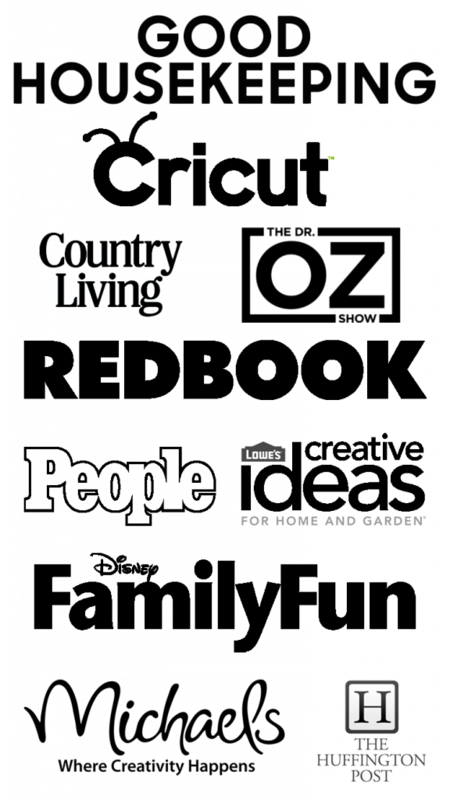 It was a family favorite for me back then. It wasn’t always one of my favorite dishes to make simply because it took all day. 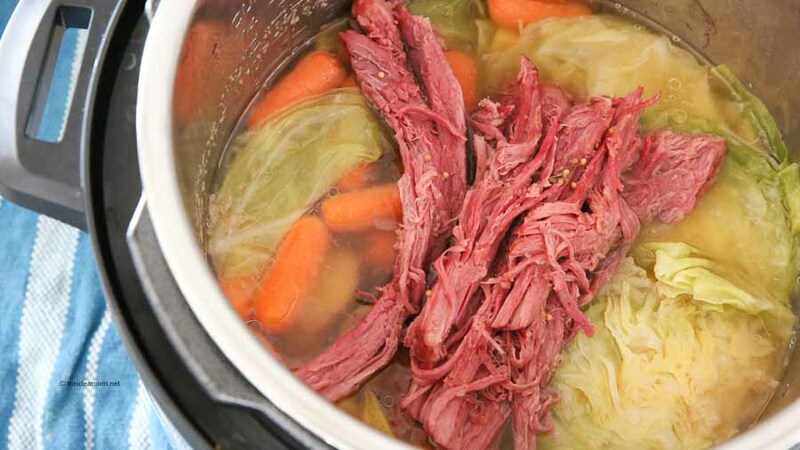 I used to make Slow Cooker Corned Beef with basically the exact same ingredients, but would cook it all day long on low heat so that it would come out tender and juicy. 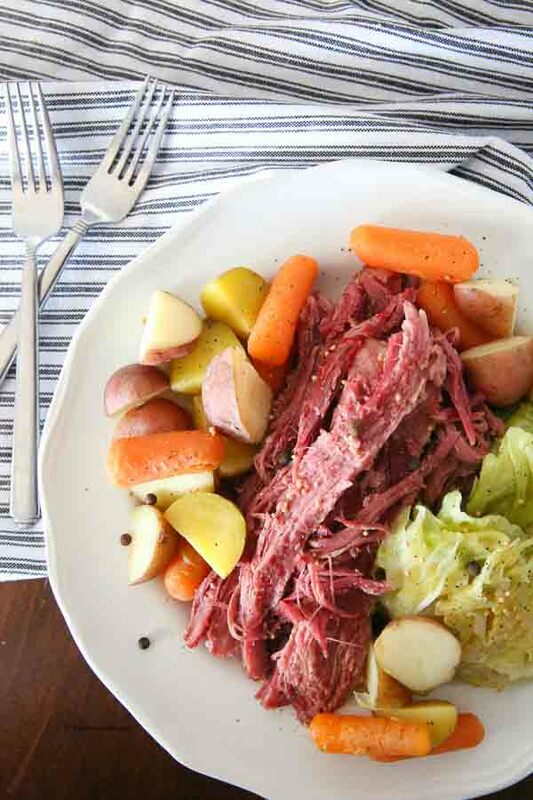 If you don’t have an Instant Pot, you can make corned beef in your slow cooker. With the Instant Pot, I can make the exact same tender and juicy beef, in a lot less time…an hour and a half to be exact! So I feel a lot more motivated to make this dish for the family and I to enjoy on what sometimes can be a busy weeknight and holiday! Now you can make it to enjoy on the holiday with your family too! It literally could not be any easier…or faster to make this for your St. Patrick’s Day Dinner. And, now that it is so easy, you might find yourself wanting to make it a couple times of year too! 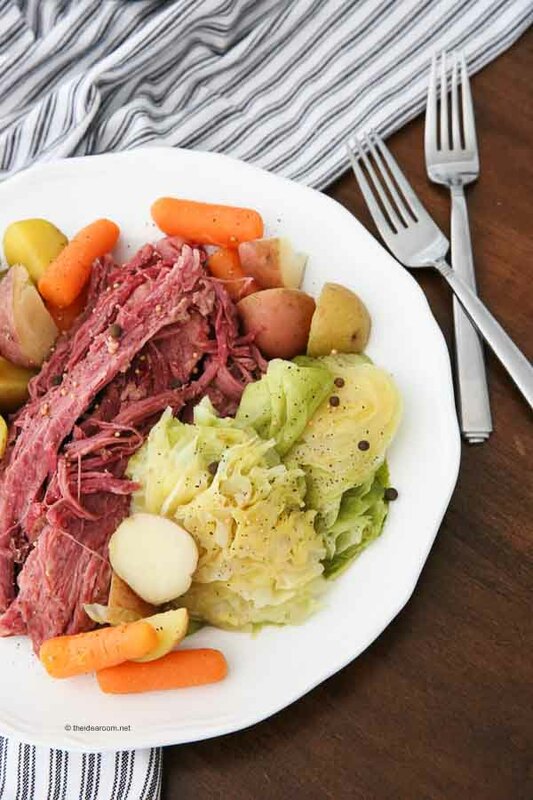 This tender, flavor-packed Corned Beef and Cabbage Recipe is made in the Instant Pot. It's perfect for St. Patrick's Day Dinner and can be on the table in just 1 hour and 30 minutes. Place rack in the Instant Pot and place corned beef on top of the rack. Add the garlic cloves, bay leaves, mustard seeds, allspice, salt and pepper to the top of the beef. Seal the Instant Pot lid and the valve. Do a quick release and release all the pressure before opening the lip. Take out the corned beef and wrap in tinfoil and set aside. Add the bay leaf and garlic cloves back to the juice if needed (off the top of the beef). Place potatoes, cabbage and carrots into the pot. Shut the lid and seal. Cook for 5 minutes on high pressure. Do a quick release and open the lid. Serve immediately with the corned beef. You can use the spice packet if your corned beef comes with one, for extra flavor, but you don't need to because of the spice already added in the recipe. Will you be making it this year? 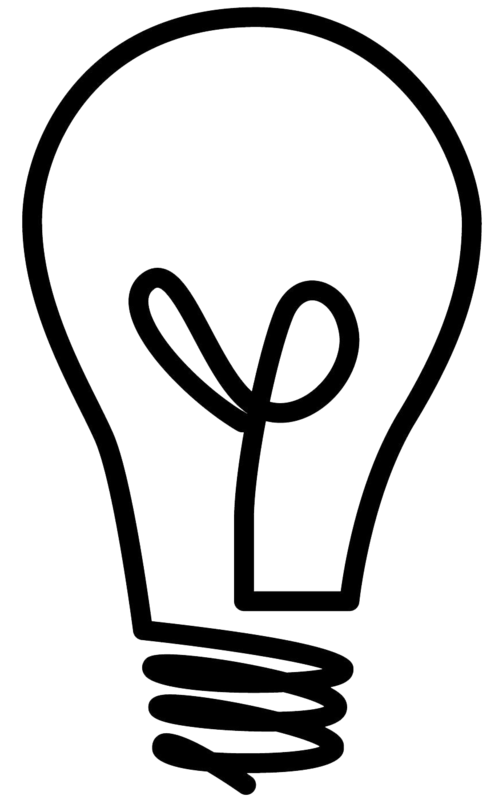 Check out our other Instant Pot Recipes if you are looking for some more ideas! Your recipe ingredients do not include the corned beef. What size do you recommend? Thanks so much. Thanks for catching that!! I just updated the recipe! I forgot to add it! Thanks for the recipe. I can’t wait to try iy. Lori- I hope you do try it out. Its delicious! Corned beef and cabbage? What an interesting combo, I’m curious to give it a try! Diego- I hope you do….it’s delicious! Reina- I will have to change that. Glad you enjoyed it. This recipe was amazing! Super delicious and I could eat my fill. I have gestational diabetes and ate about 2/3 of a row and my blood sugar was 85 an hour after the meal. I will definitely be making this again. Thank you!!! 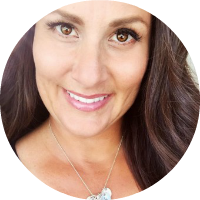 Shaon- I am thrilled that you enjoyed this recipe! Thanks for following along. Which cut of meat do you recommend? I always seem to buy one with way more fat than meat. Sandy- Brisket (Flat Cut) is less fattening, so I would use that cut if you are going for less fat. Megan- Cook on high pressure for 90 minutes.